In Arizona, beef is our number one agriculture commodity bringing in around $850 million annually to our state. Our cattle ranches produce enough beef to feed over 4.6 million Americans every year. Arizona beef ranks in the top in quality and taste, so put some on the grill to enjoy this summer! And while you do, keep this list of 12 little known beef facts in mind. 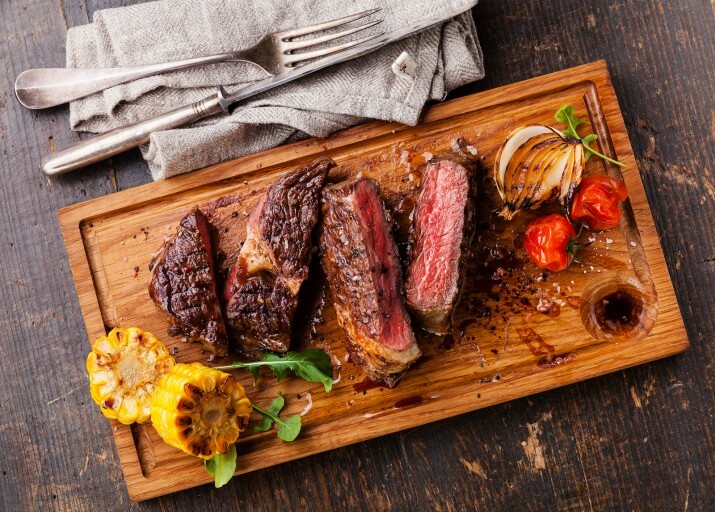 The protein in beef is a complete, high-quality protein, which means it supplies all of the essential amino acids, or building blocks of protein, the body needs to build, maintain and repair body tissue. A 3-ounce serving of lean beef is an excellent source of protein, supplying more than half of the protein most people need each day. A steer of around 1150 lbs. bears approximately 500 lbs. of beef. Most of the remaining weight is salvaged as by-products, enabling us to use around 99% of the animal. There are 29 cuts of beef that meet government guidelines for being lean. According to com and the USDA to be lean the cut has to have less than 10 g total fat, have less than 95 mg of cholesterol per 100 grams (3.5 oz.) of meat, and have less than or equal to 4.5 g of saturated fat. Beef is a nutritional powerhouse. It would take 8 ounces of chicken breast to get the same amount of iron as 3 ounces of beef, and it would take close to 7 times the amount of chicken to get the same amount of zinc as a serving of beef. To ensure safe and delicious ground beef you should cook it at 160 degrees F.
The U.S. provides 25 percent of the world’s beef, but only has 10 percent of the world’s cattle. To get the same amount of protein found in a 3 oz. serving of lean beef at 150 calories, you would need to eat 236 calories of raw soy tofu cubes, 374 calories of black beans, or 670 calories of peanut butter. There are at least 50 breeds of beef cattle, but fewer than 10 make up most cattle produced. Some major breeds are Angus, Hereford, and Brahman. There is more fat marbling in USDA Prime beef, which makes it the most flavorful and tender. It also means that it is higher in fat content. Most of the beef sold in supermarkets are graded USDA Select or USDA Choice. Regardless of grade, the mineral, protein and vitamin content are similar. Not only is raising beef cattle Arizona’s largest agriculture commodity, but it is also the largest division of all American agriculture. To purchase some Arizona raised beef near you, go to our homepage and click on “find a farm product,” then type in beef for a list of producers. This entry was posted in Beef, Fun Food Facts and tagged agriculture, Beef, Fill Your Plate, local food, Meat, ranchers. Bookmark the permalink.